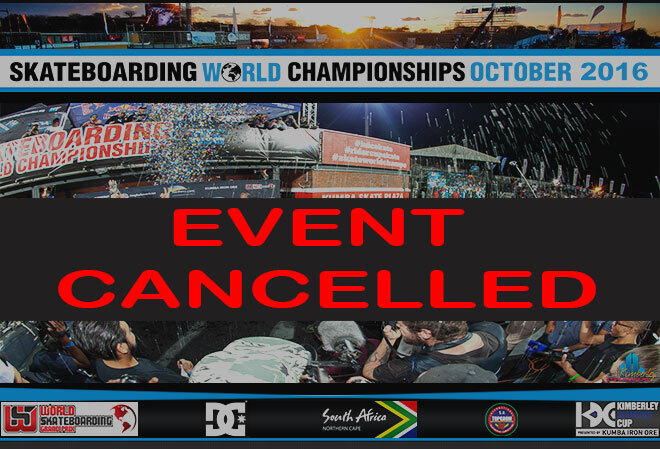 UPDATE: 24 October 2016 – It is with great regret that WSGP announces the official cancellation of the 2016 Skateboarding World Championships at Kimberley Diamond Cup. Read the official statement here on the KDC site. World Skateboarding Federation, a governing body for skateboarding, is the leader in providing skateboarders around the world with funds to help pay for travel expenses to attend international contests. WSF actively donates skateboards to youth in poverty stricken areas and supports worthwhile skateboarding organizations like Skateistan in South Africa. WSF is currently working with a number of countries, providing leadership and expertise, to help them form national federations. The mission of the World Skateboarding Federation is to promote skateboarding around the world; to grow and connect relevant skateboarders, organizations, brands and manufacturers for the further expansion of skateboarding; to assist in building quality skate parks; to provide financial assistance to top skateboarders to attend international skateboarding contests; to create a centralized judging and scoring system; and to provide a platform to create national, regional and local contests. World Skateboarding Federation is a USA incorporated nonprofit 501-c-3 organization. For more information visit www.worldskateboardingfederation.org.